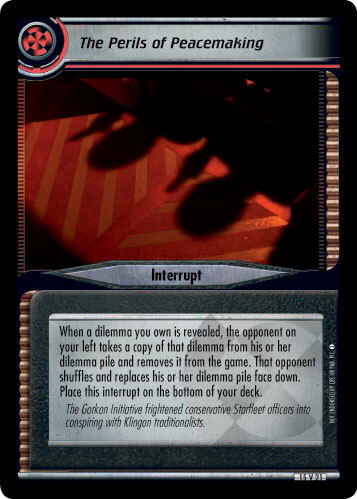 When a dilemma you own is revealed, the opponent on your left takes a copy of that dilemma from his or her dilemma pile and removes it from the game. That opponent shuffles and replaces his or her dilemma pile face down. 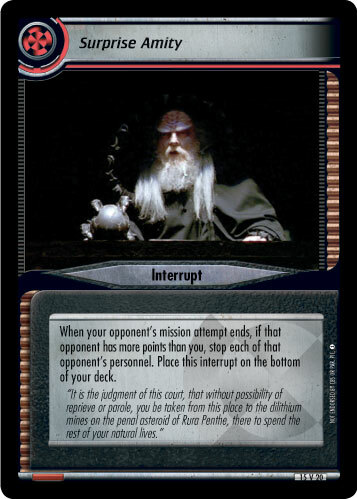 Place this interrupt on the bottom of your deck. 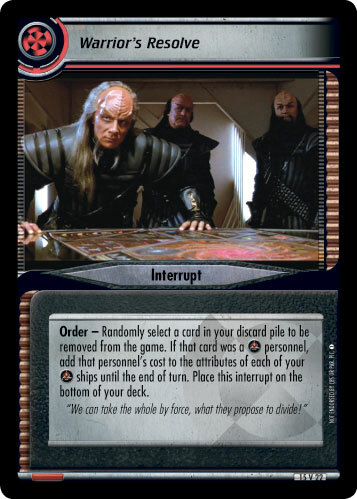 The Gorkon Initiative frightened conservative Starfleet officers into conspiring with Klingon traditionalists.